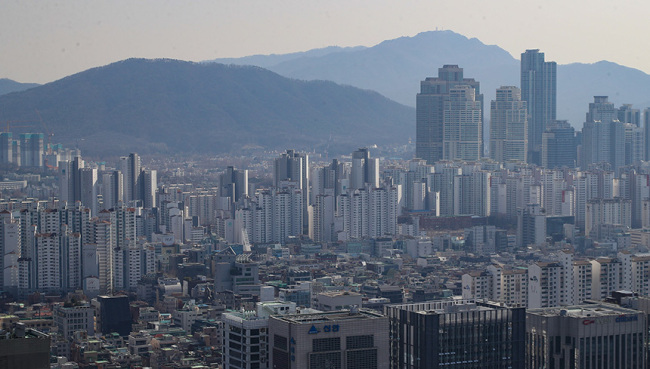 The richest people in South Korea earned nearly 1,000 times more than the lowest wage earners last year, a parliamentary report said Sunday, highlighting the country's widening income disparity. The average earned income of the top 0.1 percent bracket reached 660 million won ($590,000) per person last year, according to the report submitted to the National Assembly by the National Tax Service. Their combined annual income of 11.7 trillion won accounted for 2.66 percent of the country's total earned income of 440 trillion won. The upper 1 percent group earned an average 227 million won per person, with their total earnings of 40.3 trillion won taking up 9.15 percent of the overall income. In addition, total earnings of those in the top 10 percent class reached 165.8 trillion won last year, with the percentage marking 37.69 percent. Their income per capita was 93 million won. On the other hand, those in the bottom 10 percent group earned an average 690,000 won last year, and their overall income of 1.2 trillion won accounted for 0.28 percent. As a result, the 0.1 percent privileged class earns some 1,000 times more than those in the bottom 10 percent. The income difference between people in the top 10 percent and the bottom 10 percent was nearly 135 times. In terms of a composite income that includes earned income, rent and financial revenues, moreover, the income gap widens further. The top 0.1 percent group reported 2.59 billion won per person last year, with their combined composite income accounting for 8.63 percent. But the bottom 10 percent saw their composite income reach 1.93 million won per person, and the percentage was 0.64 percent. The latest report is in line with the second-quarter government statistics data that the wealth gap between the haves and have-nots reached its highest level in a decade. income- or consumption-driven economic growth, has been rolling out measures to help ease the country's widening income disparity.